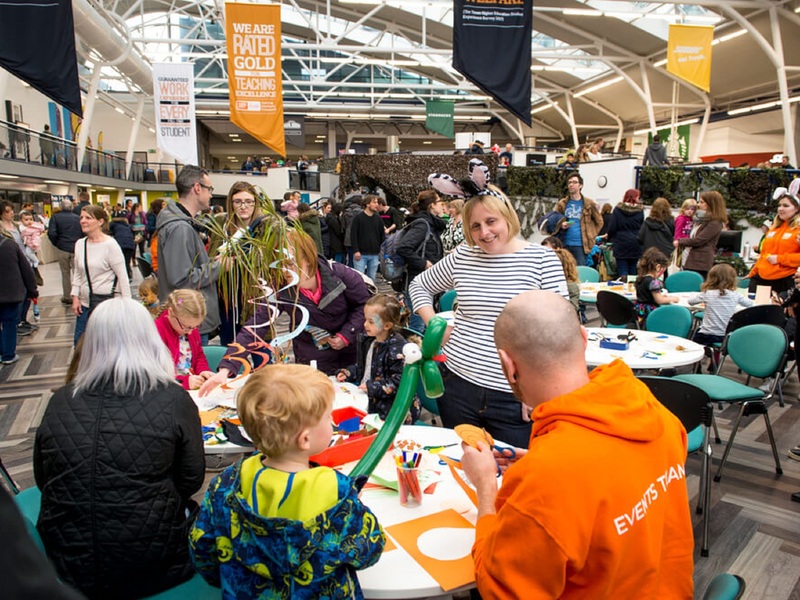 The University of Derby is hosting its annual free Community Fun Day at the Kedleston Road site, welcoming guests from 10am to 4pm on Sunday 28 April. A host of activities will provide fun for all age groups, including soft play, archery, arts and crafts, inflatables, indoor rock climbing, storytelling and a ‘Create Your Own Superhero’ activity run by Dr Ian Turner, Associate Professor in Learning and Teaching. Dr Turner holds a National Teaching Fellowship and was recently shortlisted in the 'Most Innovative Teacher of the Year’ category of the 14th annual Times Higher Education Awards. In addition to the activities, which will be held indoors and outside, there will also be a variety of hot, cold, sweet and savoury food vendors on site. Professor Kathryn Mitchell, Vice-Chancellor of the University of Derby, said: “This is the seventh year we have hosted the Fun Day, and I believe this is a fantastic opportunity to see the community coming together to enjoy all it has to offer. “Not only will there be plenty of fun and exciting activities to take part in, the event also gives us an opportunity to open up our doors and welcome in those who may not have previously visited the University before. The University’s Events team is behind the magic of the day – Hannah Hallam, Development and Alumni Relations Manager, said: “This is a key event in our annual calendar and the project team behind this has representatives from the across the University volunteering to make this an enjoyable day with fun activities for all ages. The University takes seriously the responsibility it has to drive forward the economic, social, cultural, educational and environmental prosperity of its home, and the Community Fun Day is part of this. To further reinforce its commitment, the University recently signed a Civic University Agreement in partnership with local government and other major institutions, pledging to put the economy and quality of life in the local community top of its list of priorities. Work is currently underway to establish the agreement. Find out how you can get involved in the Community Fun Day.